Fossil fuels have long been the major contributors to the ever-increasing energy demand, since, the development of technologies to harness the energy of animal and plant remains buried in the earth millions of years ago. 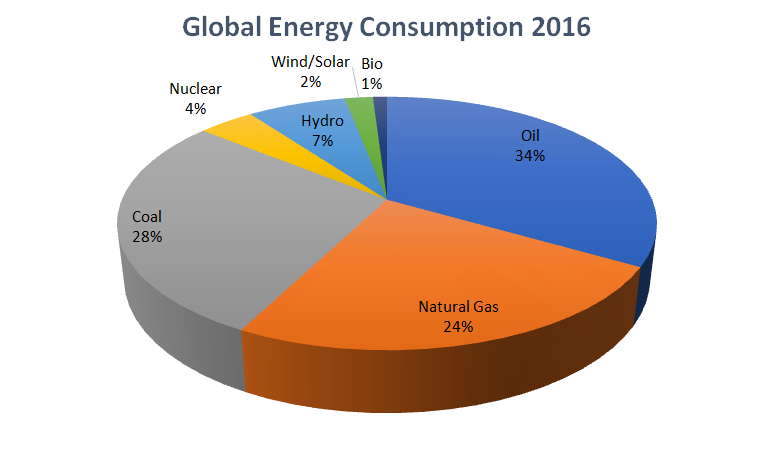 The pie chart provides the overview of the contribution of fossil fuels to global energy consumption. Oil, gas, and coal add up to 85% of total global energy consumption. Such large-scale utilization of fossil fuels has very adverse effects on the global climate and is contributing to global warming due to the emission of greenhouse gases as a result of combustion of fossil fuels. Brick industry is no different than the traditional industry in terms of the fossil fuel utilization. 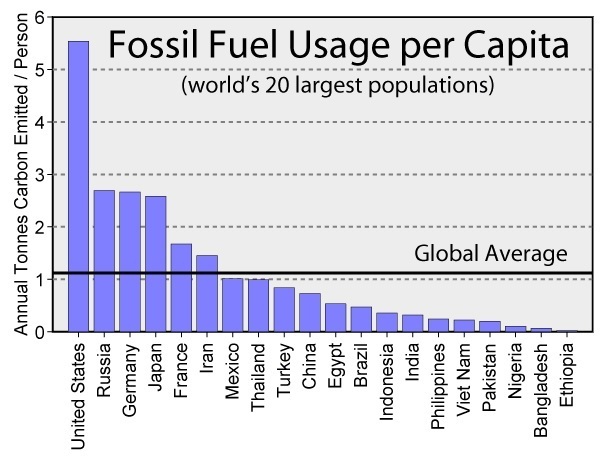 The most utilized fossil fuels in the brick industry are natural gas (in developed countries) and coal (in developing countries) along with some portion of other fossil fuels such as heavy oil. Though natural gas is widely used as an energy source in the brick industry worldwide, however, one can’t possibly deny the significance of the alternative fuels. Alternative fuels such as biogas, biomass and its derivative fuels, on the other hand, have the potential to shield the brick manufacturers from the fluctuating price of the natural gas in the market. Also, renewable energy sources can be cheaper than the natural gas itself if all the factors are considered. In this era of science and technology where the governments are more focused on the environmental impact of industrialization, alternative fuels such as biogas and biomass-derived fuel can be really helpful for the industries struggling to meet the strict environmental standards and regulations imposed by the local governments. The brick industry is also required to meet the stringent standards and regulations therefore the brick manufacturing should focus on alternative fuels such as renewable energy sources in terms of environmental impact and energy efficiency solutions. As an external fuel i.e. fuel combusted with the aid of burner. As an internal, body fuel i.e. mixed with clay. Also, there are three types of fuels based on the physical properties i.e. solid, liquid and gaseous fuels. Gaseous fuels can only be used as external fuels while solid and liquid fuels can be used as internal as well as external fuels. An overview of potential fuels for brick factories is given in the following tables. The use of solid fuels isn’t beneficial as it generates excessive ash within the kiln. The repeated use of solid fuel leads to the deposition of ash on the surface of the product and in the cores and could contribute to the health hazard of the user. Most of the brick industries in developed countries is utilizing natural gas along with other fossil fuels to meet their energy demand while in developing countries coal, wood, oil and other sources of energy is being utilized in the manufacturing of bricks. The current fossil fuel usage results in large amount greenhouse gases which contribute to the global warming. Alternative fuels like biogas and biomass have the potential to effectively reduce the environmental impact of the brick industry while successfully decreasing the costs of fuel by cutting down the quantity of fossil fuel intake. Following are the some of the alternative fuels for brick industry: Biogas and Biomass. Biogas was first utilized early in 1895 as a fuel for street lamps in the town of Exeter in the UK. 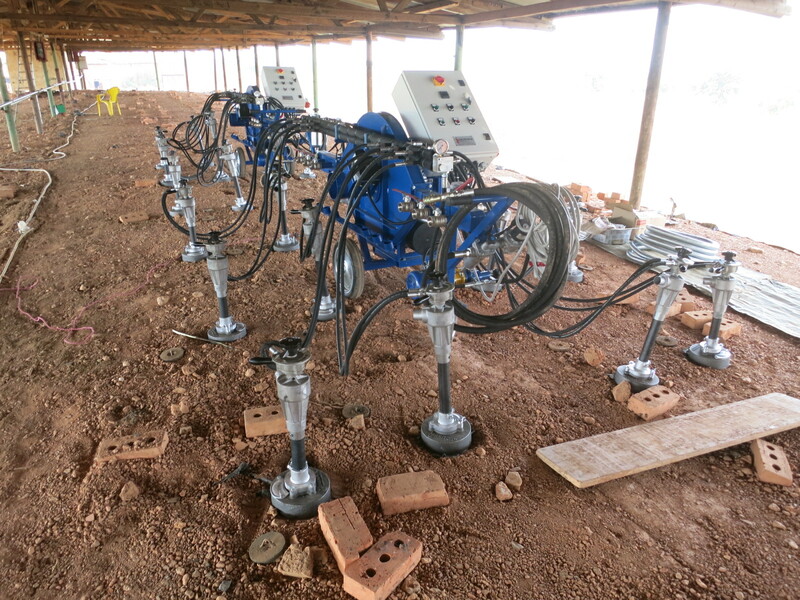 Since then technology has advanced significantly, thus enabling the humanity to devise the most efficient systems yet for the generation of biogas. Today the generation of biogas is usually represented by single or two-stage fermentation systems. Biogas is a mixture of different gases generated as a result of decomposition of organic matter in absence of oxygen. Waste matter from various sources (agriculture waste, food waste, organic waste, municipal waste etc.) is utilized in the production of biogas hence it is the cleanest source of energy. Purified biogas consists of about 90-92% of methane. Following table provides the composition of biogas. Biomass is world’s fourth largest energy source, contributing to about 13% of the total energy consumption. In developing countries, it contributes to about 33% of total energy consumption, however in industrialized countries its use is rather limited with a contribution of about 3% of total energy consumption. If biomass and its derivative fuels are utilized in the brick industry on a sustainable level, i.e. for cutting down of every tree a new tree is planted, their environmental impact is considered to be neutral because of the greenhouse gases generated during the burning of fuel is utilized by the planted crops or trees hence keeping the overall balance. Most of the brick industries in developed countries is utilizing natural gas along with other fossil fuels to meet their energy demand while in developing countries coal, wood, oil and other sources of energy is being utilized in the manufacturing of bricks. The current fossil fuel usage results in large amount greenhouse gases which contribute to global warming. Bernini Impianti wanted to thank you for visiting our booth at the Ceramitec 2018 exhibition held from the 10th to the 13th April. Bernini Impianti is proud to announce the sponsorship of the most important art exhibition in Venice at the moment. The best italian artists feature their work such as Marco Raggi and there are currently more than 1000 visitors each day. 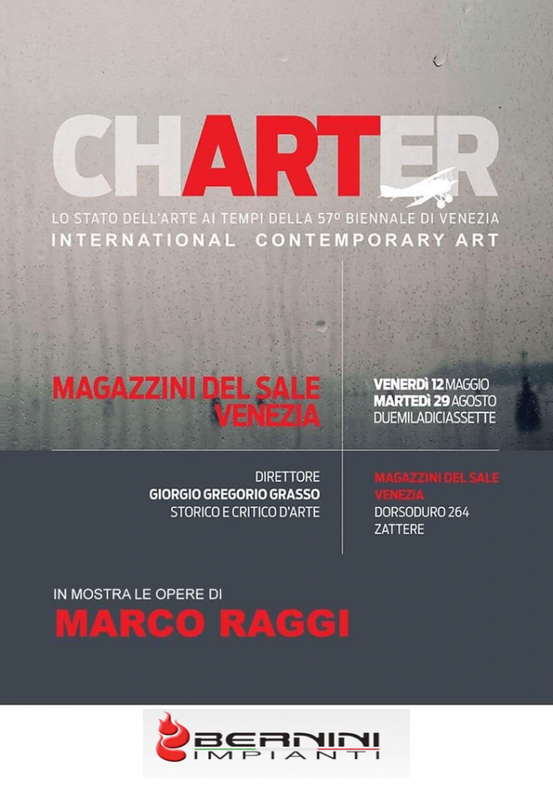 The 57th International Art Exhibition, titled "VIVA ARTE VIVA" and curated by Christine Macel, is organized by La Biennale di Venezia chaired by Paolo Baratta. The Exhibition also includes 86 National Participations in the historic Pavilions at the Giardini, at the Arsenale and in the historic city centre of Venice. The exhibition can be visited until the 26th November 2017. In June 2017, we welcomed a special delegation from Vietnam. We have been in good relations with our clients in that region for more than 10 years. The group was made up of General Director, Mr. Nguyen Duc Hoang, Deputy General Director, Mr. Hoang Quang Tuyen and two board members at DONG NAI BRICK AND TILE CORPORATION. We have reinforced our strong relationship by discussing future projects and ideas. We are sincerely thankful for the trust clients show us throughout the years. For us this represents a confirmation and recognition of the commitment and care Bernini Impianti puts on each project. We are sure visits like this one will be repeated in the near future. From the 12th to the 14th May 2017 at the beautiful city of Cape Town was held one of the most important events of the year for the clay brick industry in South Africa. 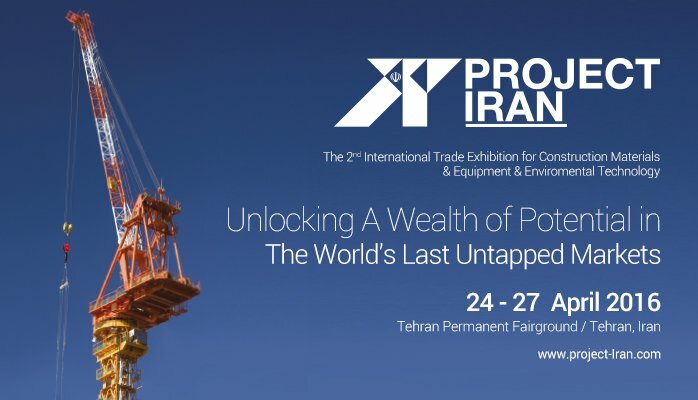 With a very rich program with a series of conferences from distinguished members of the association, local and international. 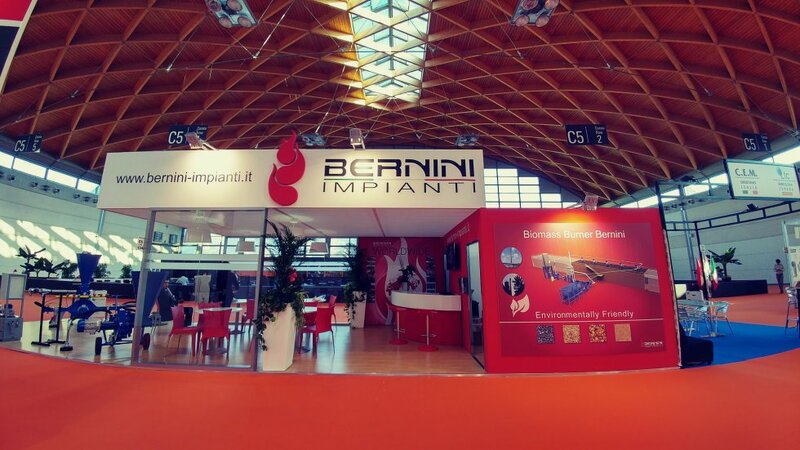 Bernini Impianti was honored to participate as speaker represented by our General Manager Eng. Massimo Bernini. On Saturday night the delegates were invited to a very nice gala dinner held at the Cape Town Aquarium, what an amazing venue! 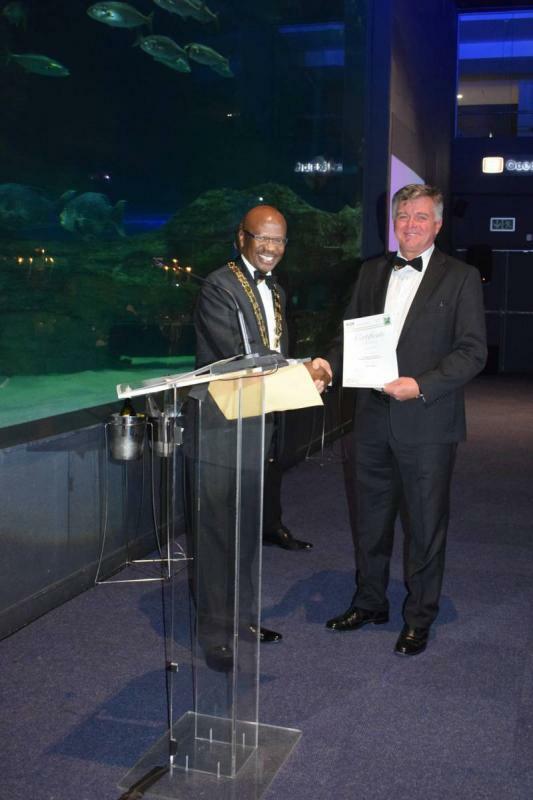 We are sure that this event has strengthen our relationship with brick manufacturers in South Africa to help them achieve the goal of reducing emissions to the environment and increasing quality production. Bernini Impianti was glad to participate on the ECTS Symposium at Isfahan, Iran held on October 18th and 19th 2016. 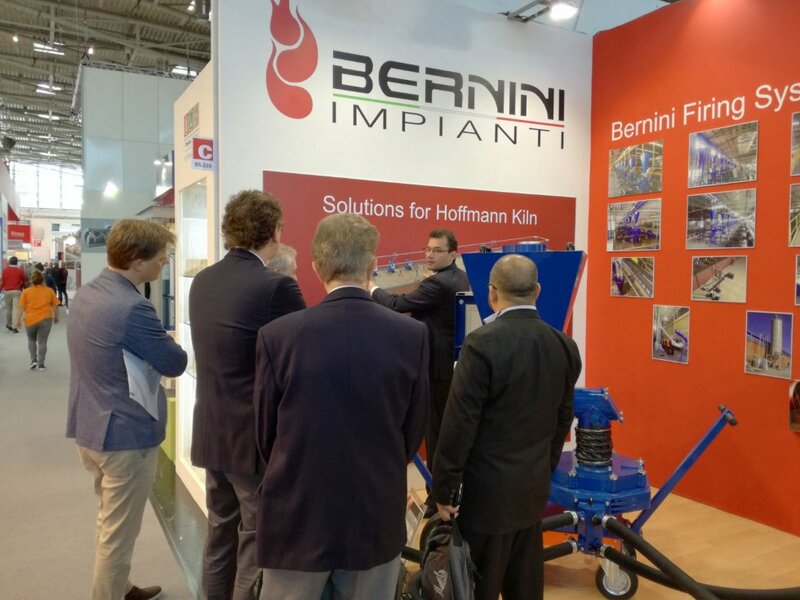 The title of our presentation was "Better Efficiency of Combustion and Low Consumption with Gas Burners for Hoffmann and Tunnel Kilns"
We were pleased to share possible solutions and services Bernini Impianti can offer for the Brick industry in Iran. If you want to check some images and slides used at the event please follow this link. 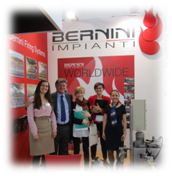 Bernini Impianti wanted to thank you for visiting our stand at the Tecnargilla 2016 exhibition held from the 26th to the 30th October. We also hope that you had a good time and enjoyed your visit to Rimini, Italy. Bernini Impianti has been offering drying and burning systems to brick manufacturers for over 60 years, maintaining our commitment to give customers specific solutions at a competitive price. Making our main goal to help our clients to reach their goals. 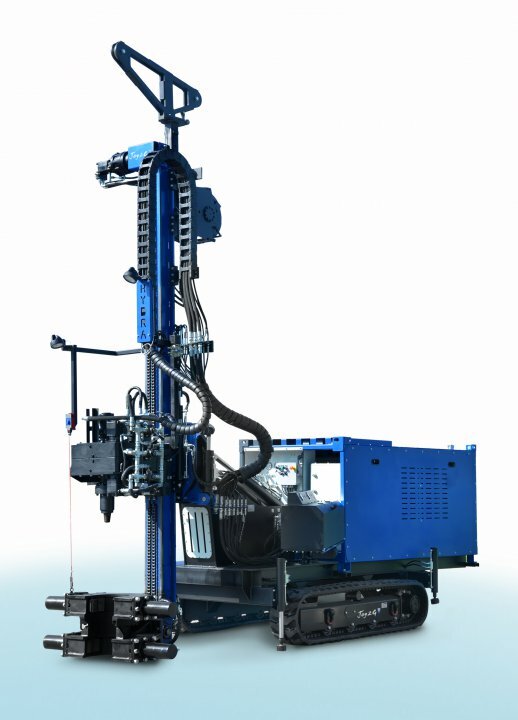 Bernini Impianti is proud to announce a cooperative alliance with an Italian company that develops equipment for drilling and hydraulic tools since 1995: Hydra Hydraulic Tools and her new robotics division which focuses on the design and manufacture of hydraulic robots employed in hazardous areas: Hydra Robotics. 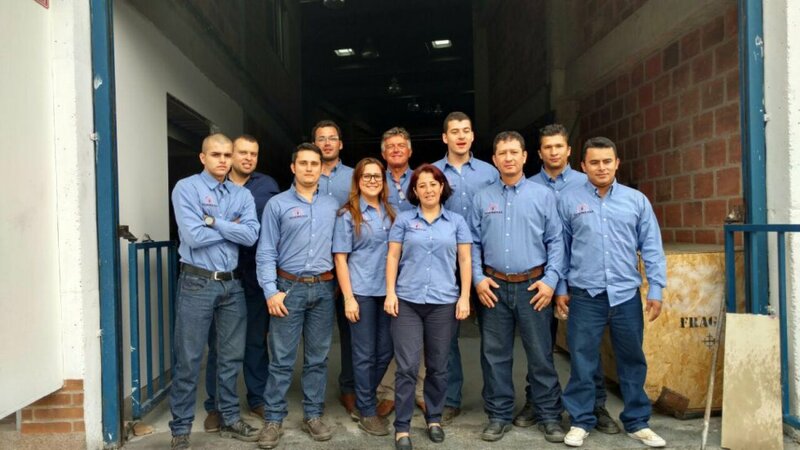 Office in Colombia: Tecnober S.A.S. Bernini Impianti has established a partnership in Latin America with the company Tecnober S.A.S. in Colombia. We now can be near our customers in South America for sales and support 24/7. 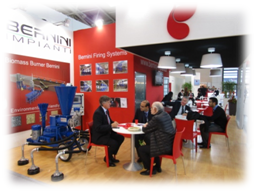 Bernini Impianti wanted to thank all visitors of our booth at the Ceramitec 2015 exhibition held from the 20 to 23 October. For the company was a very productive exhibition because we could greet our current customers and meet new ones in one place. Also, the space gave Bernini Impianti the possibility to network and evaluate new collaboration opportunities with providers, agents, commercial allies and others. Bernini Impianti has been offering drying and burning systems to brick manufacturers for over 60 years, maintaining our commitment to give customers specific solutions at a competitive price. Making our main goal to help you to reach yours. 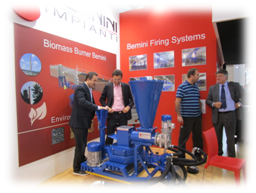 - The Hybrid Burner for Solid Fuel and Biomass, HSFB model. - Association with a company for representation in Latin America, TECNOBER SAS based in Colombia. We had visitors from 33 countries. This confirms the international scope of the Ceramitec trade show. On the map we can appreciate where do our visitors come from and we confirm our availability at a global scale. 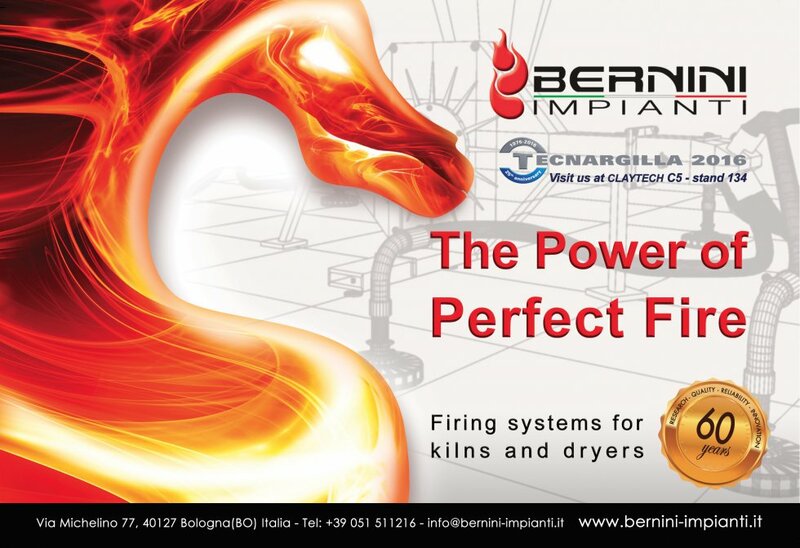 Bernini Technical dipartment can performe a check-up of the kiln with a temperature and pressure scanner.